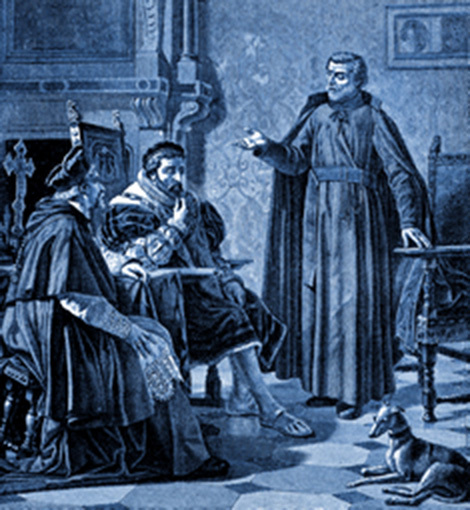 St. Peter Canisius is perhaps one of the more neglected doctors of the Church. Amongst the names of the great saints in his era, of Borromeo, Ignatius, Philip Neri, Francis Xavier, John of the Cross, Teresa of Avila, St. Pius V, etc., his name tends to get lost. In Germany and Switzerland, however, his name was once synonymous with Catholic orthodoxy. St. Peter Canisius is almost unparallelled in his output, and even Protestant theologians praised and admired him for his holiness and learning. One of the things Canisius could not brook was heresy. Here is an excerpt from a letter he wrote which is quoted in “A Champion of the Church: The Life of St. Peter Canisius”, which is going to be reprinted by next week, by Mediatrix press, so watch for that. In this letter, he is writing on the miserable state of Catholic universities. Today, he would be said to be too rigorist, which is not very merciful. Shameless plug moment: The book from which this quote is taken from, A Champion of the Church, has just come back into print, courtesy of Mediatrix press (which I run). Consider buying a copy. This entry was posted in Articles, Saints, Theology and tagged counter-reformation, Doctrine, heresy, Jesuit, Peter Canisius, Protestantism, Trent, unecumenical saints on 11 July, 2014 by rubens7.